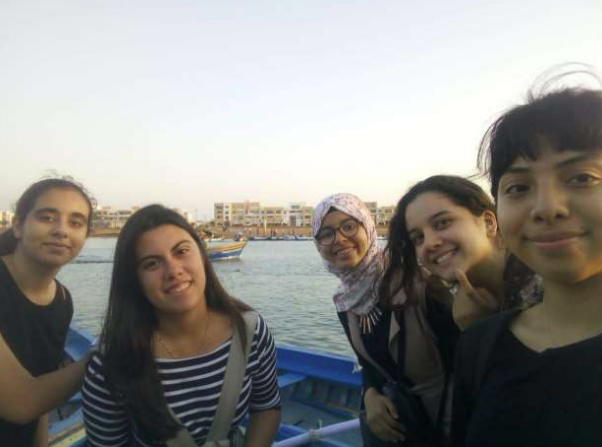 NSLI-Y students took a self-guided tour of the city with their language partners as part of a scavenger hunt. Students and language partners worked together to navigate the city, learn the transportation system, and start talking to people in Arabic. Here, NSLI-Y students Diana, Sofia, and Donia take a picture with their language partners near the fishing boats in the Bouregreg River. 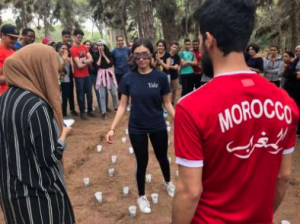 In June, NSLI-Y students met for the first time with the Imam Ghazali High School Alumni Association, an organization dedicated to facilitating learning opportunities for students outside of school. The association members met with NSLI-Y students and their language partners in the forest of Harhoura, a nearby beach town, and played icebreaker games together. 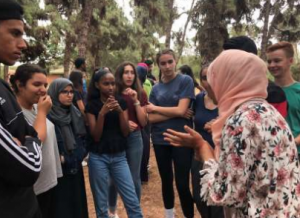 NSLI-Y students took a trip with their language partners and the Imam Ghazali High School Alumni Association to the Rabat Zoo in June. 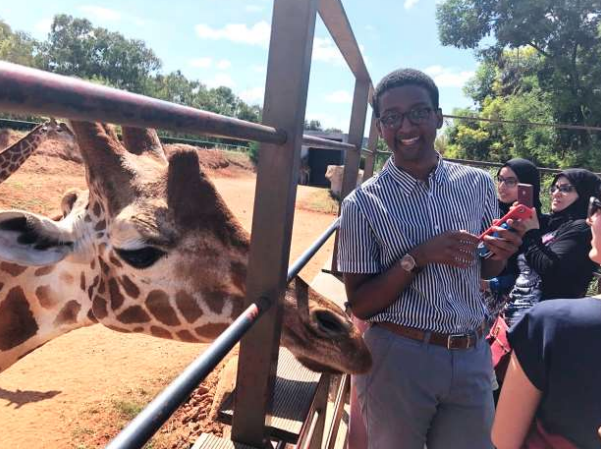 They split into groups and visited each animal area, learning the words in Arabic and English for each animal. 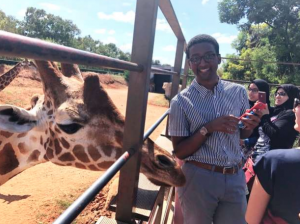 Here NSLI-Y student Kaleab learns the word for giraffe with an up close and personal encounter! In late June, students met with their language buddies and were assigned their Indian state for their final presentation assignment. It was a wonderful introduction to integrating with the local students! NSLI-Y China had a very exciting start! After their flight, students arrived and settled into dorms for the night. The next morning students toured the Northwest University Campus where they studied and attended a welcome ceremony that included a Peking Duck Lunch. 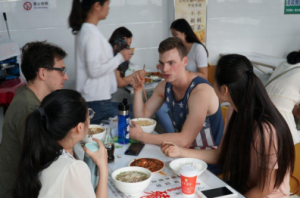 After the lunch, students met their host families and went home with them to begin bonding. 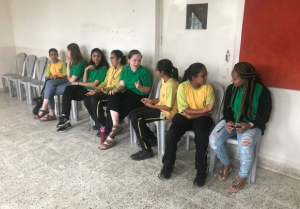 The students had their first classes and their first meeting with local Chinese peers who acted as their language partners throughout the program. They enjoyed testing out their chopstick skills and interacting with Chinese peers in the school cafeteria!